Ready for more adventures, Bingers? On the first part of my Bataan experience, I shared with you the food and stories of the pretty province of Bataan. I am sure most of you craved for more. Well, wait no more because on the conclusion of my entry about this province, I will share with you the main reason we were invited by Bataan Tourism- the Pawikan Festival. 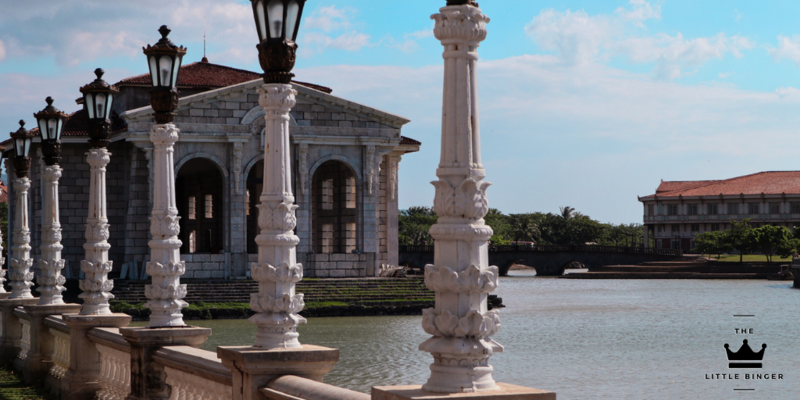 But it’s not just all that, Bataan Tourism also toured us to a must-visit destination in the province, giving us a taste of the history of our country- Las Casas Filipinas de Acuzar . Excited? Well, let’s get to it! After our amazing lunch at Ima Pamangan, we were brought to Las Casas Filipinas de Acuzar. I will not lie, this part of the tour really excited me because of the scenery and the numerous Instagrammable spots. My expectations were met because the moment we entered the park, it was as if I traveled back to the Spanish era in the country. Recreations of the old ancestral houses welcomed us and the staff were also playing the part in their Filipinianas. After an afternoon tour around the park, we took an about 2-hr drive to go to our hotel. Bataan White Corals Beach Resort accommodated us for a couple of days. I shared the room with my friend/fellow blogger. The room for two was large enough to accommodate up to four people because the bed that I slept in was roomy. Also, each room were equipped with refrigerator, TV, and aircon. And yes, the restroom has water heater and bidet! That easily earns an extra star in my book. A quick rest and we were notified to attend the dinner prepared by the resort because we will then head to the Pawikan Conservation Center for a little program about the festival. As soon as we had our dinner, we drove off to the Pawikan Conservation Center in Morong, Bataan. A little program about the Pawikan conservation project and a little awareness about their extinction happened. The residents of the area and different organizations joined the Night Patrol. Walking along the shore at night time has always been a hobby of mine whenever I visit the beach but this time, this is for a better cause- to patrol for any Pawikan laying their eggs. Pawikan are known to be sensitive about laying their eggs that a little distraction will get them going back to the ocean. So, we started walking along the shores of Morong in search of a Pawikan but there was none that night. I was a little disappointed that I did not get to witness that glorious moment but at the same time, I enjoyed the experience. The walk washed away my stress. Okay, I just really love the ocean. We were tired but it was worth it! The following day, Pawikan Festival happened. It was a big and colorful event! Students, tourists, and residents of Bataan flocked to Morong to witness the festival. Its highlight is the dance competition where representatives from different towns of Bataan battled for the crown. Each of them presented unique stories and flaunted colorful costumes to accentuate their performance. See some of my snaps! It was a day-long event that was definitely exhausting but also super fun! Aside from the performances, there were also installations and shops stood around the area. We returned to the hotel later that night and sadly for me, it cut my Bataan experience because I had work on a Monday. I failed to join my fellow bloggers on their trip to Mt. Samat and see the historical cross up close. Oh well, I believe there will always be a next time! This short tour craved me wanting for more of the lovely province. It is rich in history and flavors! You’d want to have this on your summer destination, Binger!